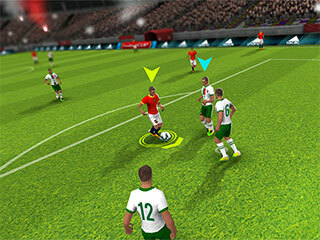 The world of professional football awaits you. Pick your own team and become a champion! You can choose from up to 32 teams. Play a Quick Match or a Tournament! Improve your skills in extensive Practice Mode! View your squad and team formation in Team Management. Play now and reach the top! Can you earn all the trophies? All rules and regulations of football apply. 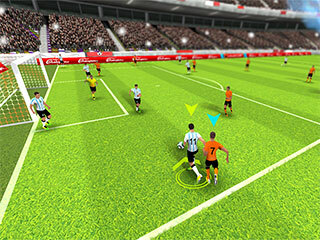 Enter a playmode, choose a team and score goals to win. Use your skill and become a champion. Tap buttons for each action and hold the joystick to move.